Why buy an Easter basket? 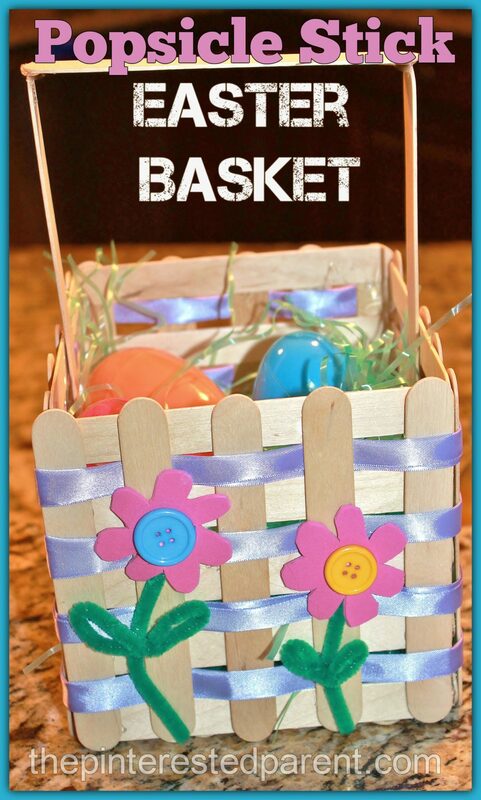 If you have craft sticks and a glue gun, you can make your own craft stick Easter basket. My daughter must be getting just as excited for the spring as I am. She has been laying out picnics on our living room floor for the past couple of weeks. I was impressed when she made herself a picnic basket out of a tissue box and pipe cleaners to carrying her food in. I was very proud of her for being so inventive. Seeing her clever tissue box project inspired another basket creation. 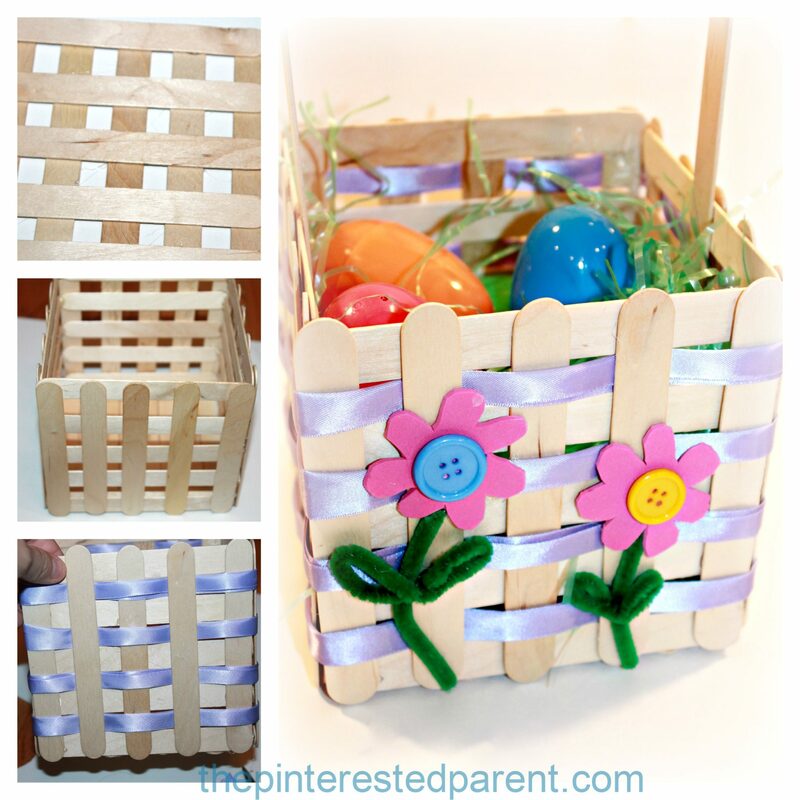 This is sweet basket craft for a spring picnic or for Easter. 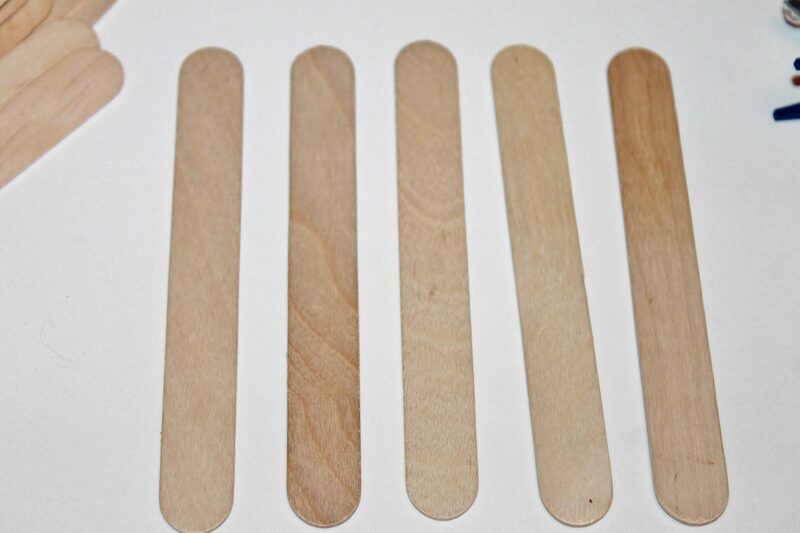 Lay 5 Popsicle sticks down. 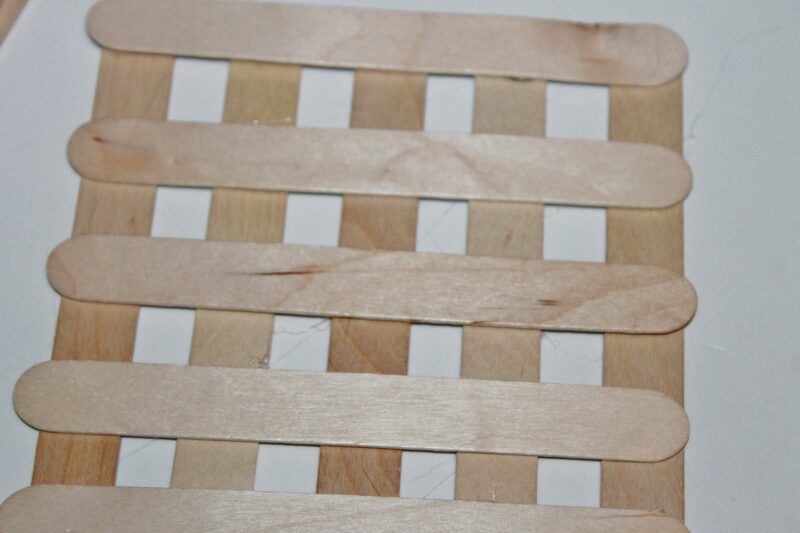 Lay 5 more Popsicle sticks perpendicular over the top of the other 5. Build 3 more exactly like this. 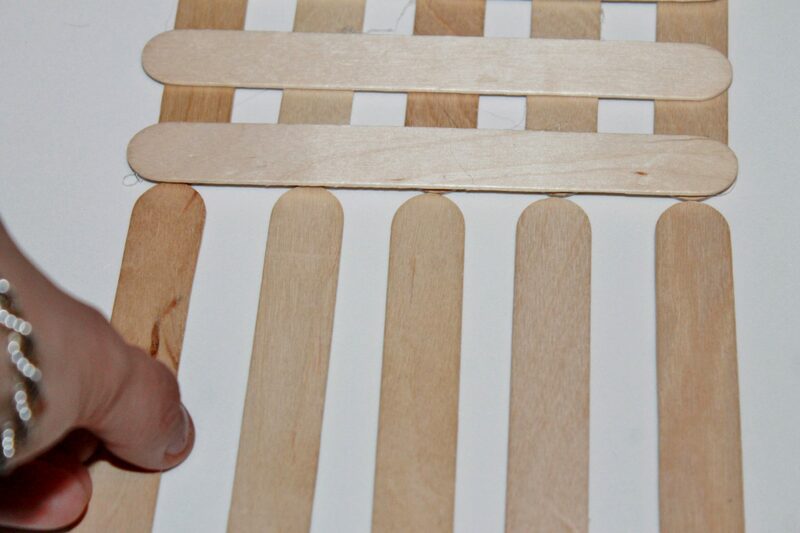 Use the the original to line up the sticks so that all sides are identical. 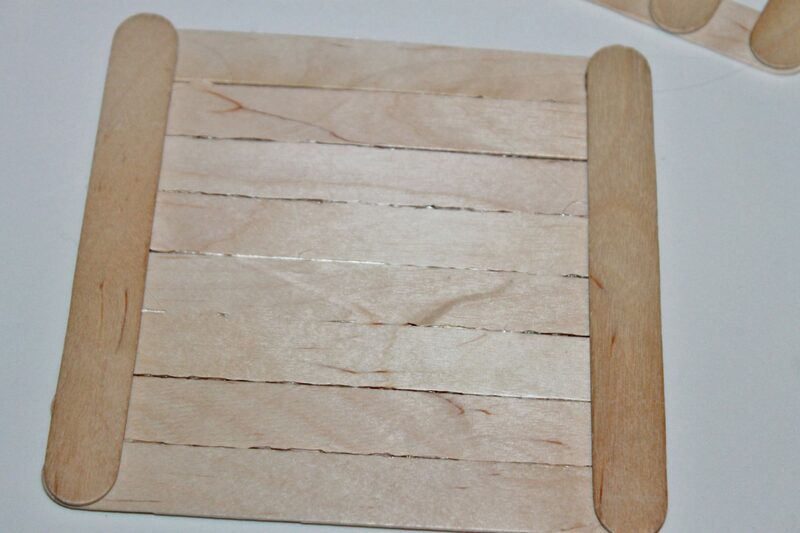 Construct the bottom by gluing 8 sticks together side by side. Glue two sticks on the two perpendicular edges like shown. Glue your pre-formed sides to each side. Make sure to glue at the corners as well. 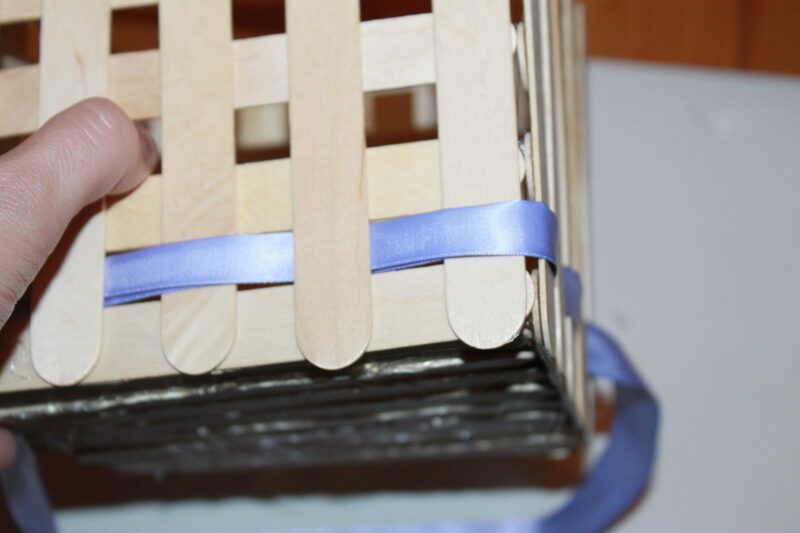 Use ribbon to weave in & out of the square openings formed by the sticks. Glue the ends in place. Glue 3 sticks together to form your handle. 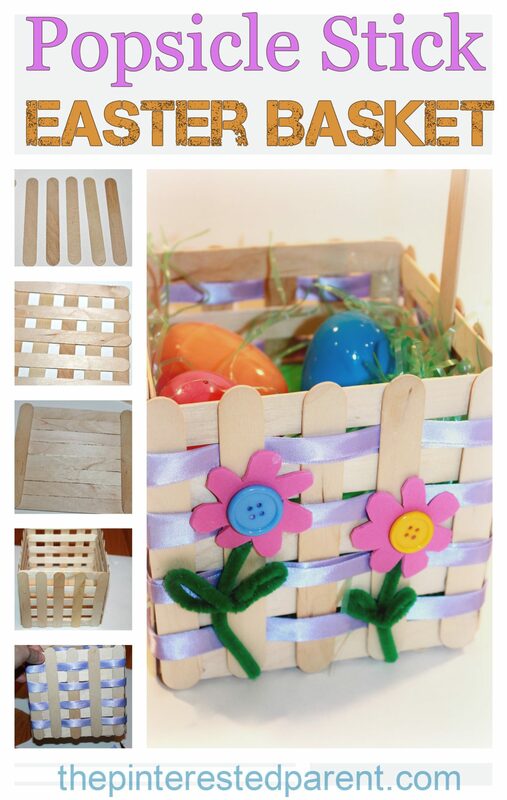 Add flowers or another design of your choosing to add a finishing touch to your basket. It came out pretty cute. I think I will use this as her basket this year. 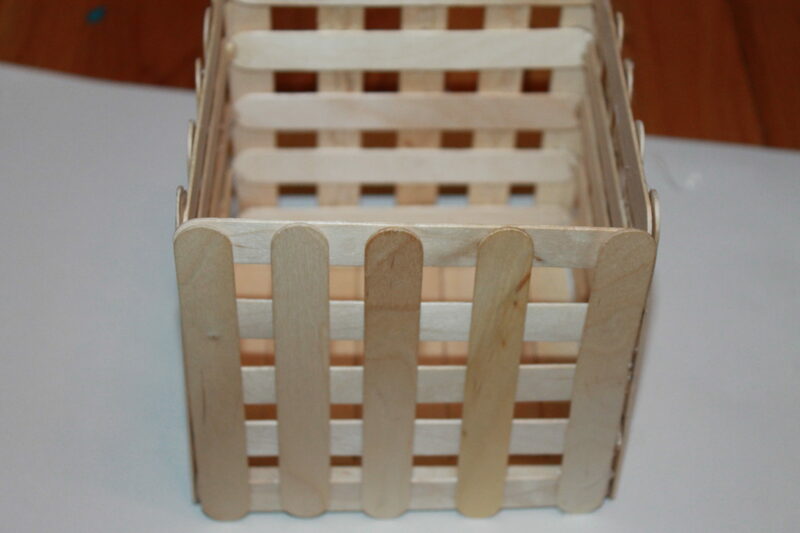 I tried to do this with my older Girl Scouts and we can’t get the sides glues to the base. How is it done, the directions don’t really say. it isn’t like the sides and the bottom line up! Hi Maria. Thank you for reaching out. I hope that I can help explain. The sides were glued around the outside of the base. All sides should have a craft stick on the all four ends and all four ends should be the length of a full craft stick. 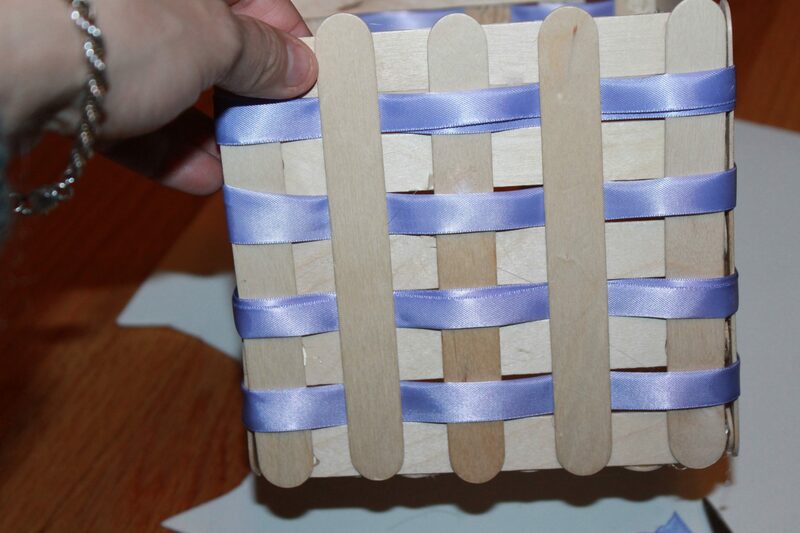 The top and bottom of the basket sides should have a craft stick running flush along the top and the bottom horizontally as well as the other sticks in between that form the weaving. The side that has the horizontally run sticks should be the side that get glued around. Being that the base will have a full craft stick length running on each sides, the sides should line up ok. The corners may have a slight gap, but should fit together with the glue gun. I hope that this helps.